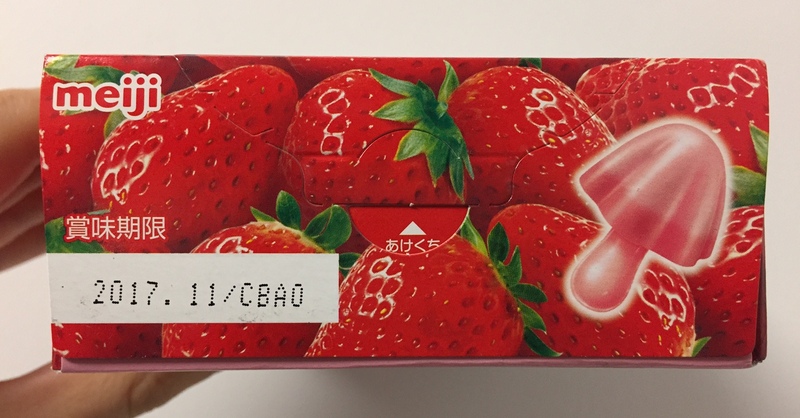 Meiji launched Fully Coated In Strawberry Big Kinoko No Yama (まるごといちごで包んだ大粒きのこの山, Marugoto Ichigo De Tsutsunda O-tsubu Kinoko No Yama) on January 24, 2017. 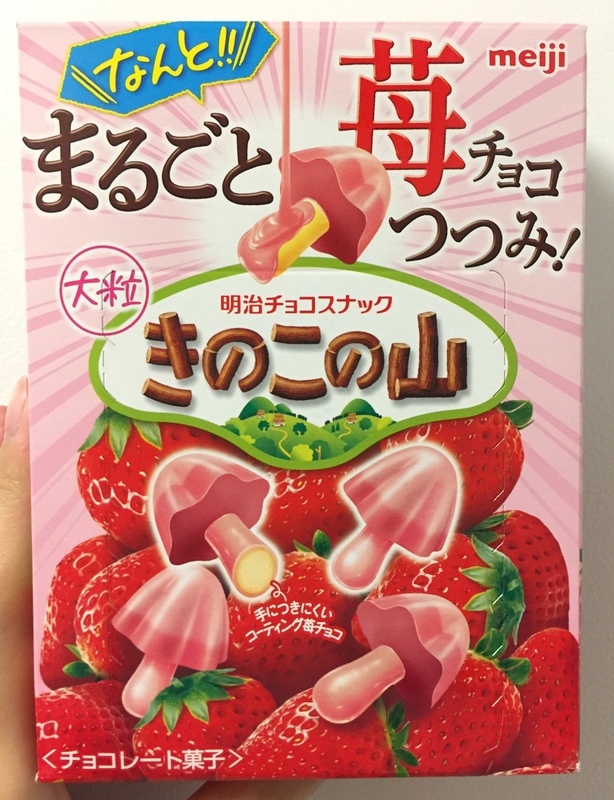 I was confused a bit when I saw the box since it didn't say the name mentioned above, and instead, it says, "Wow!! 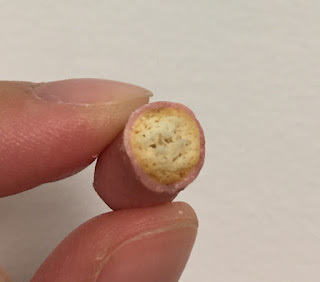 Fully Coated In Strawberry Chocolate!" with manga-like background with fine lines to create the surprising atmosphere. 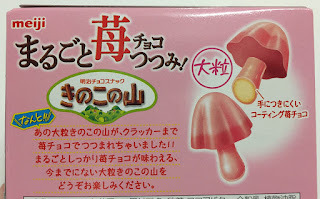 Kinoko is mushrooms and Yama means mountains. 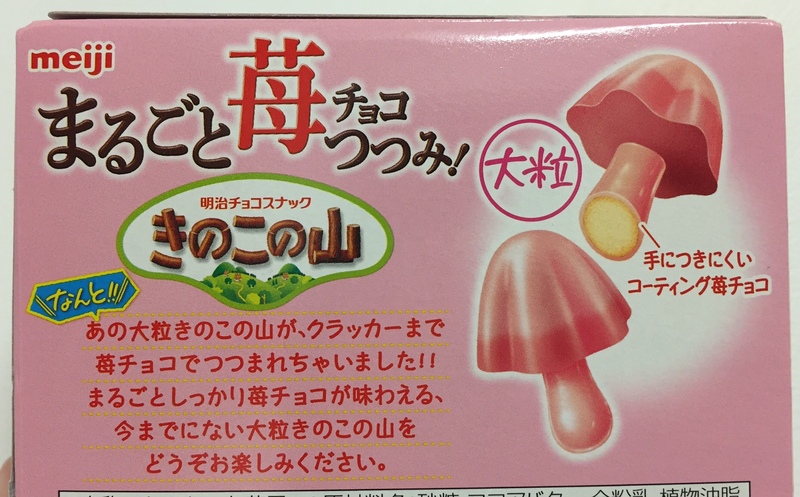 That Big Kinoko No Yama is now fully coated with strawberry chocolate, even the stem!! 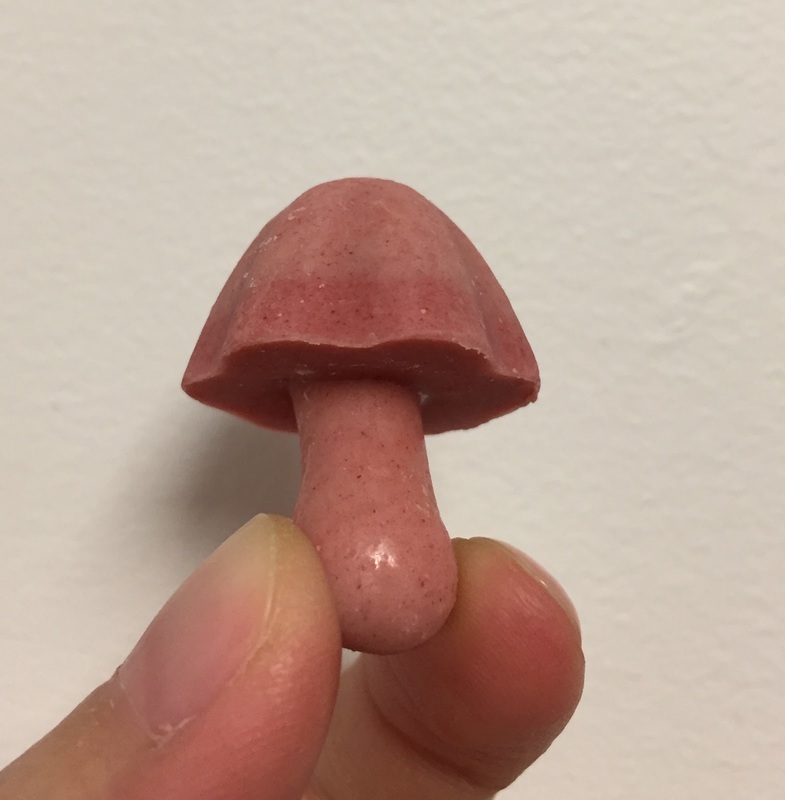 You can taste strawberry chocolate in every bite, and please enjoy this first-ever Big Kinoko No Yama. 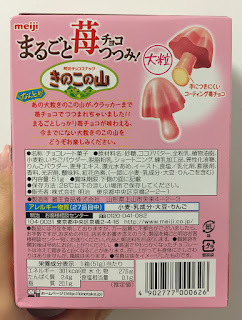 The image on the right says, "Non-sticky strawberry chocolate coating." Following the dotted line, I lifted the tab and opened the box. 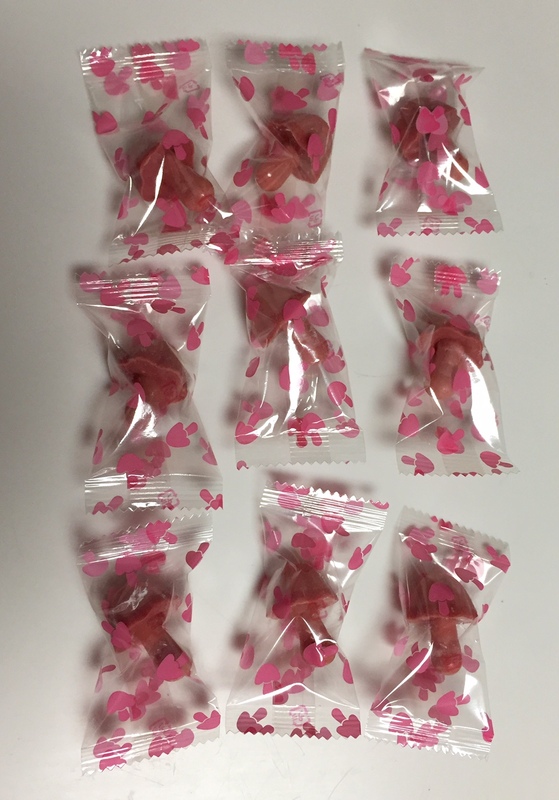 There're 9 individually wrapped pouches of Big Kinoko No Yama. 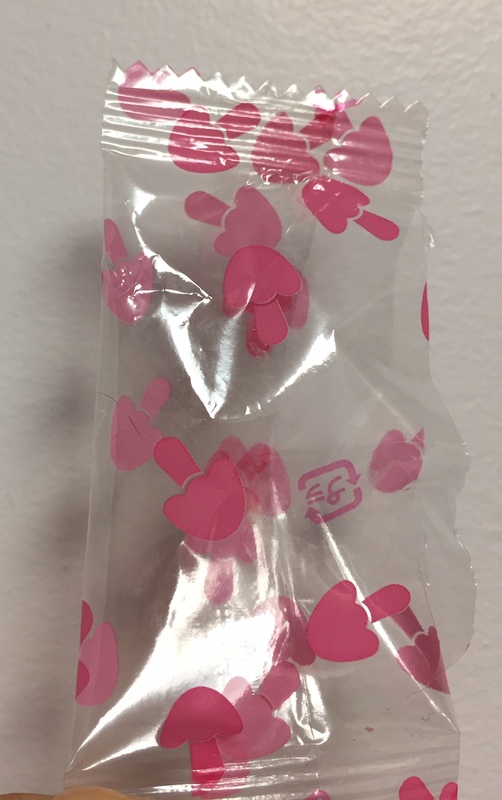 When I had a glance, I thought the pouch was filled with pink hearts, but they're shadows of Kinoko No Yama. 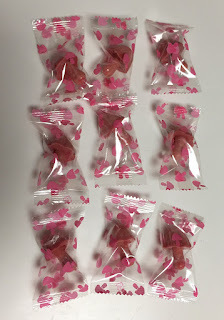 It had very sweet scent when I opened the pouch. 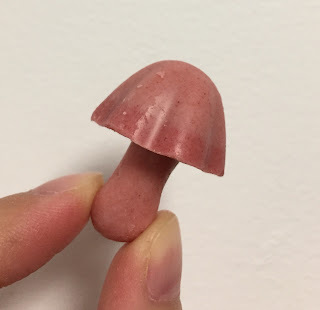 The pileus is 2-tone pink and the stem was shinier than the pileus. The pileus had deep sweet-sour strawberry chocolate taste, and the stem had 1~2mm of chocolate coating over the crispy biscuit. 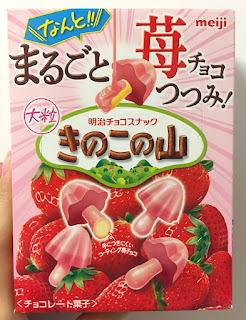 The fragrant biscuit and strawberry chocolate had a good balance and it's very tasty. 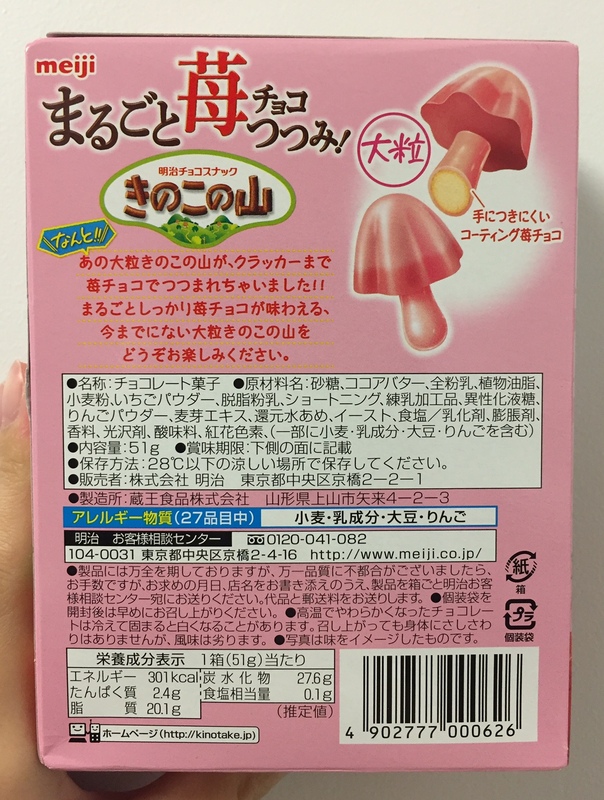 Allergy substances; wheat, dairy, soybeans and apple.